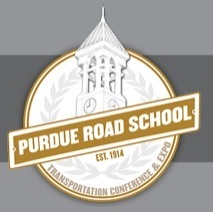 For the second year Women & Hi Tech is honored to present the Women in Leadership panel discussion at the 102nd Purdue Road School. As part of the recently added Human Capital track, this part of the program targets professional development of women currently working in the design and maintenance of roads and highways, bridges, ports and airways around Indiana as well as young women studying for those careers. The Women in Leadership Panel is scheduled from 10:00 a.m. to 10:50 a.m. on Wednesday, March 8, 2017.